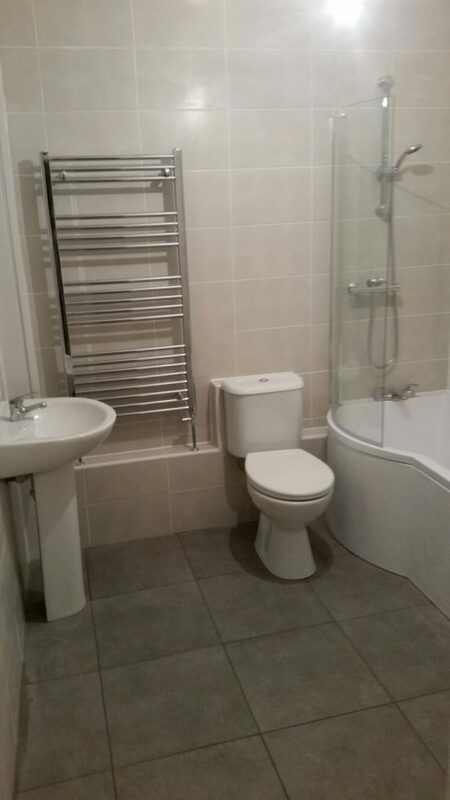 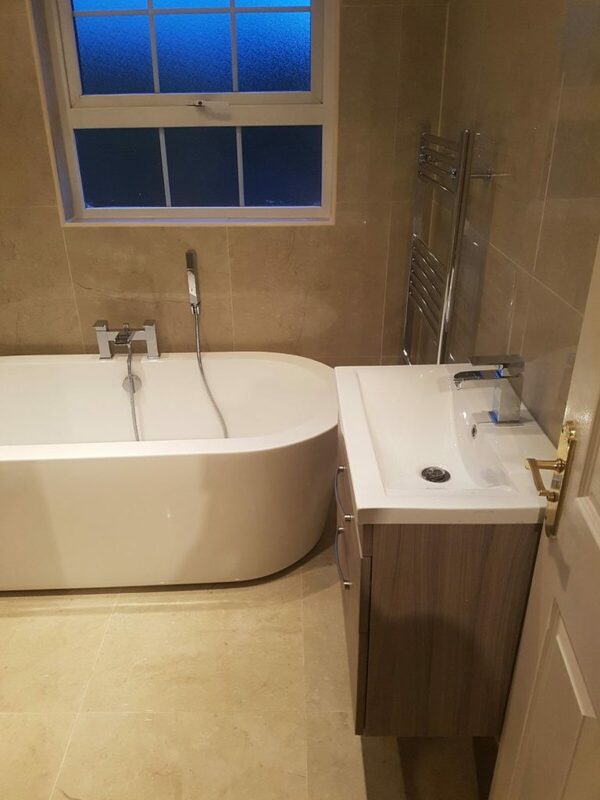 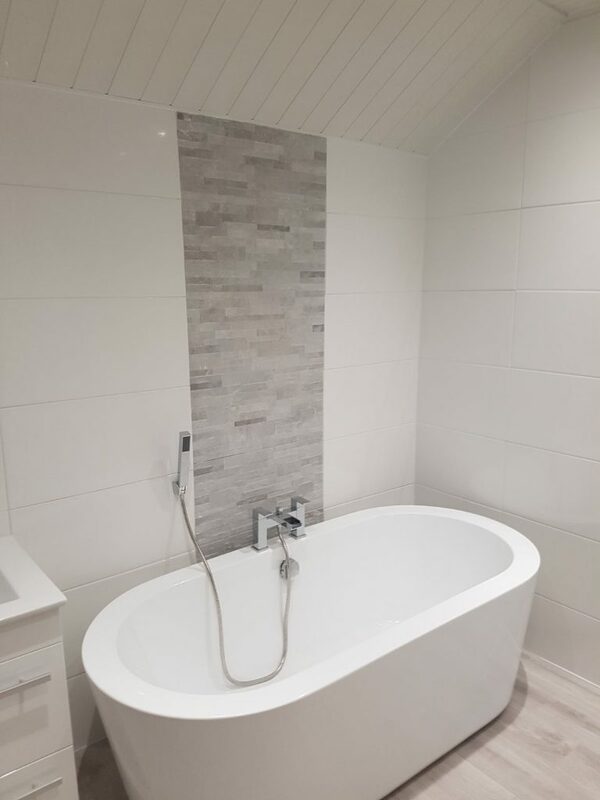 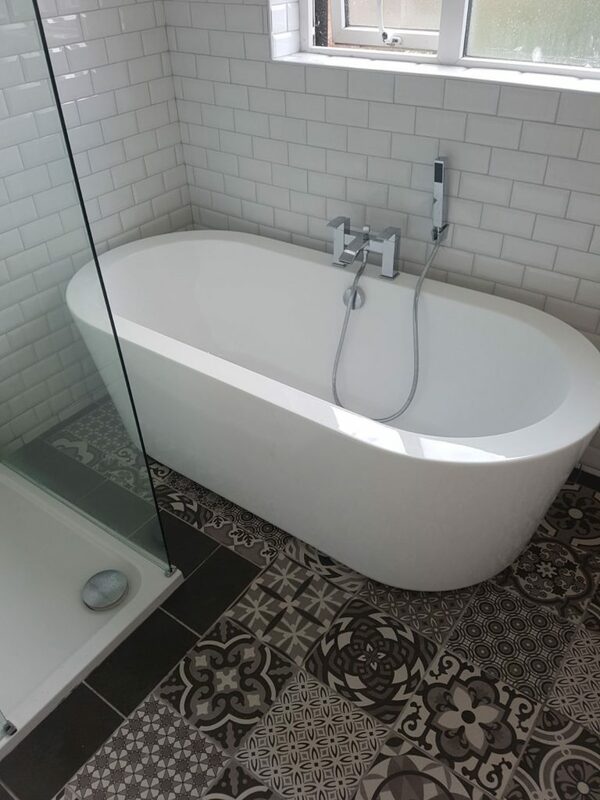 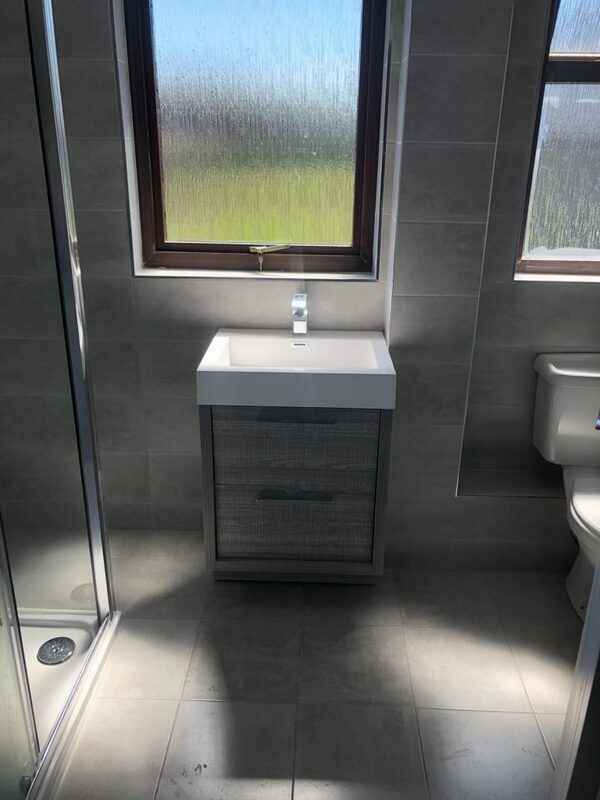 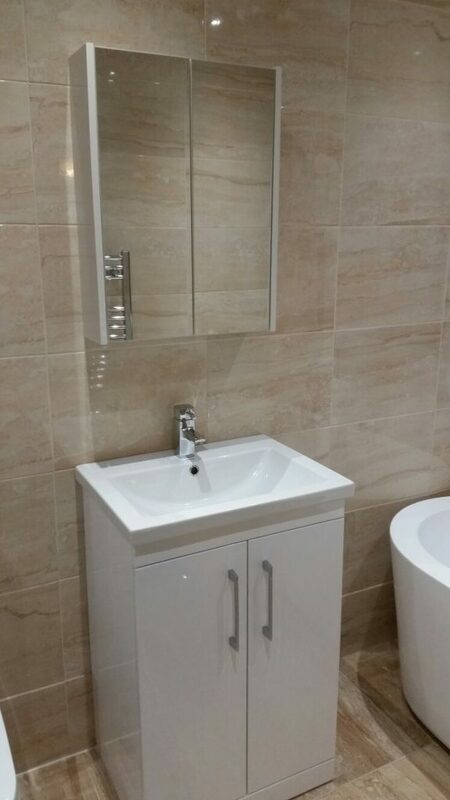 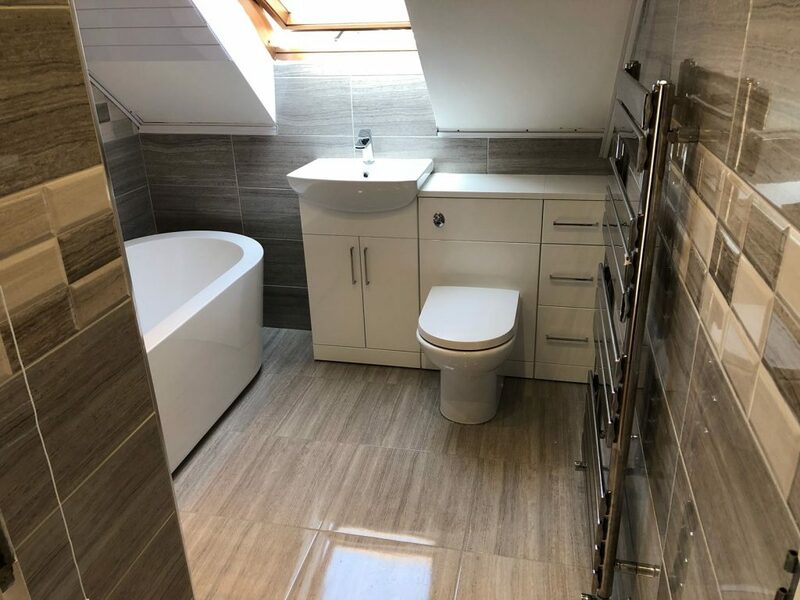 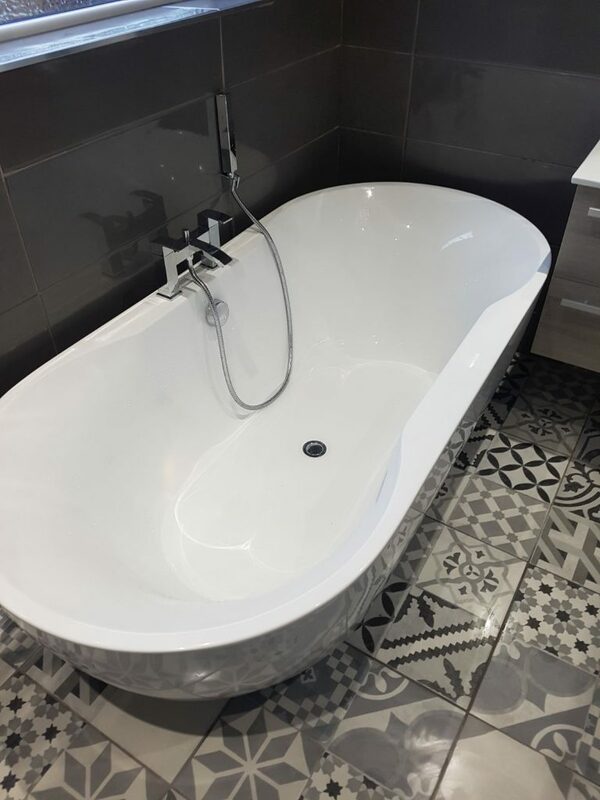 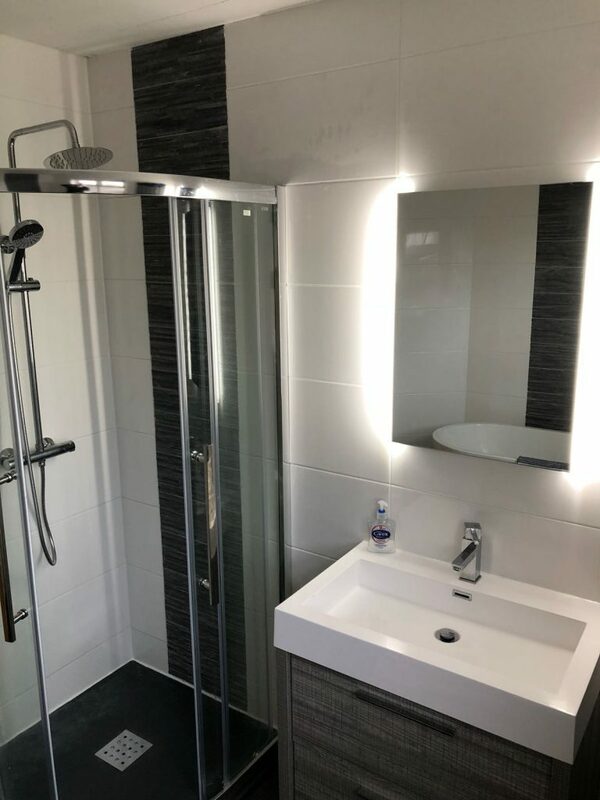 Full Bathroom Refurbishment – Belfast – Magee. 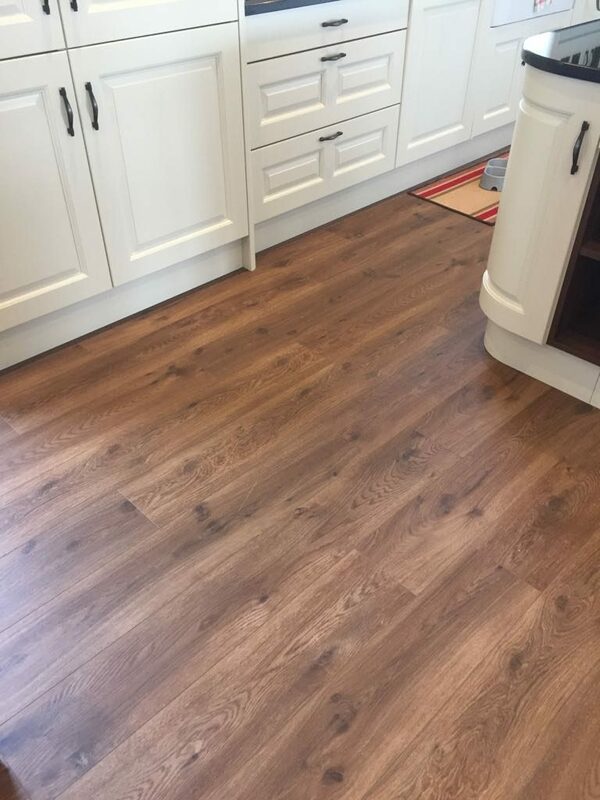 Luxury Click Waterproof Vinyl flooring – McDonald. 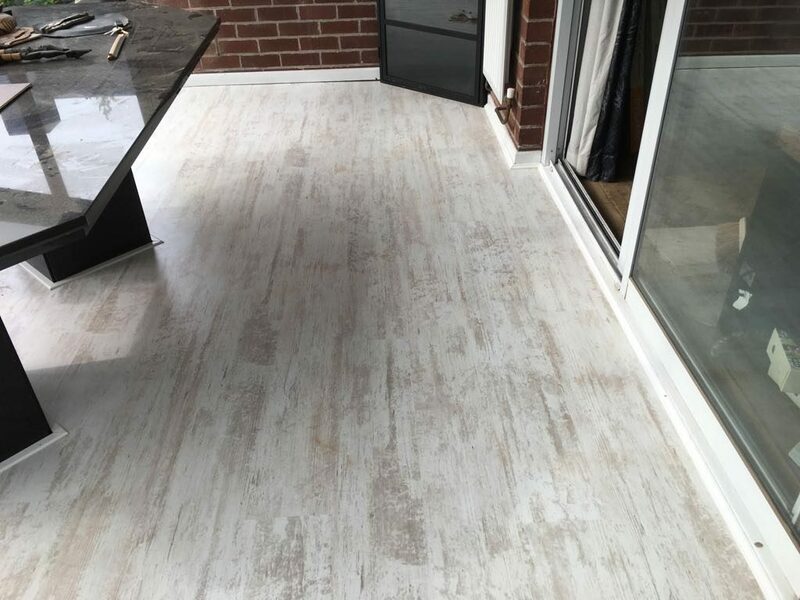 Veranda white 8mm Laminate Flooring supplied and fitter with white beeding used. 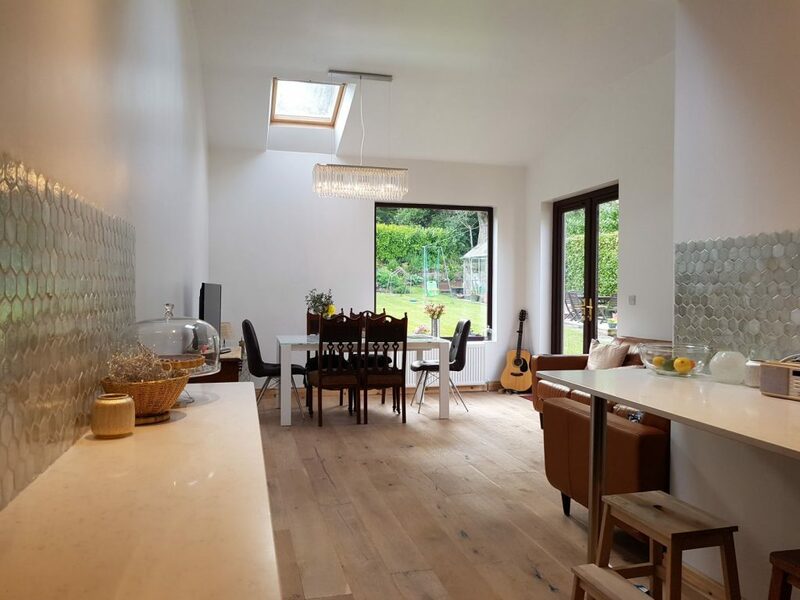 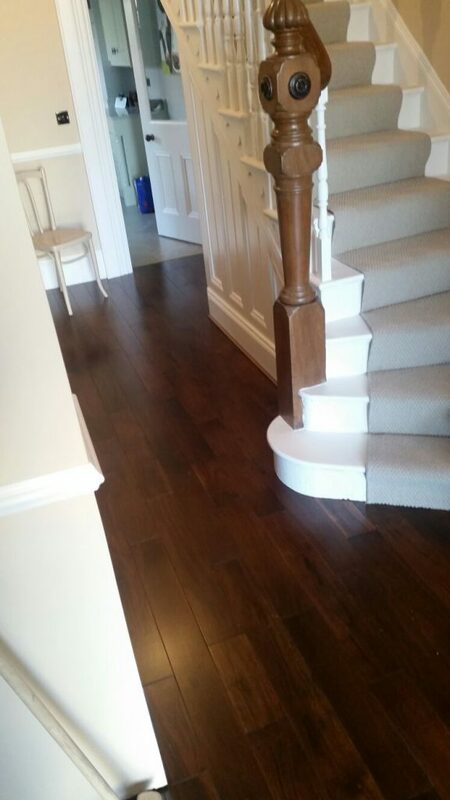 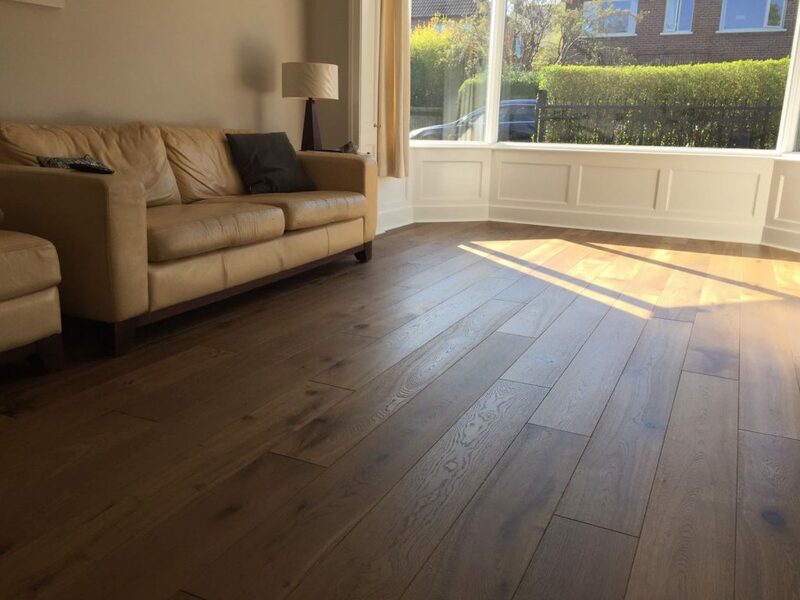 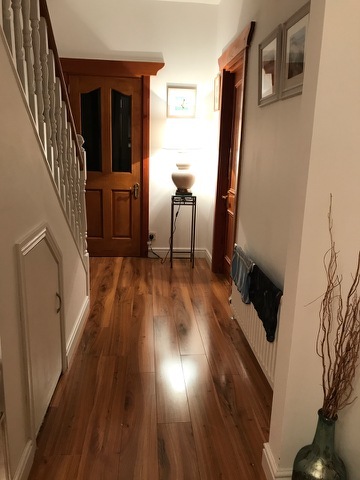 Engineered elka Autumn Oak flooring supplied and fitted. 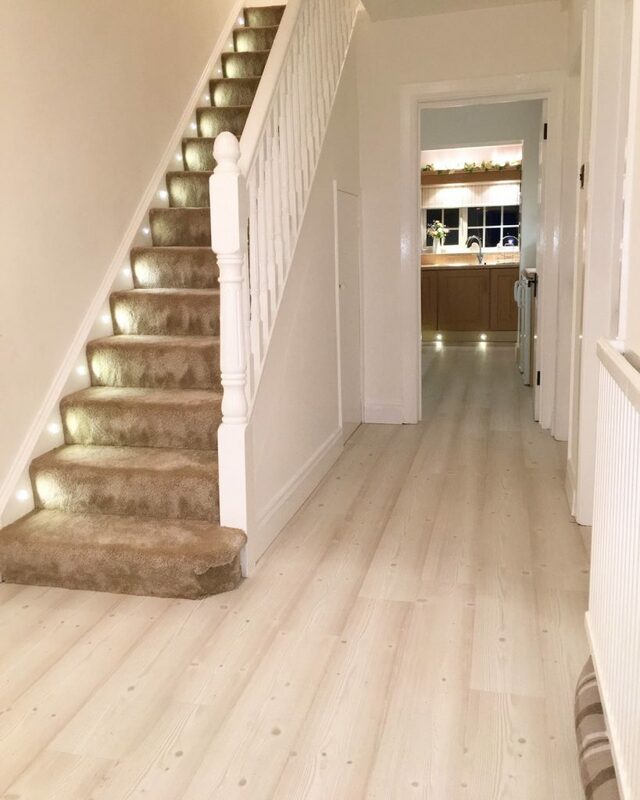 Good sound proof silver underlay used and finished off with white skirting. 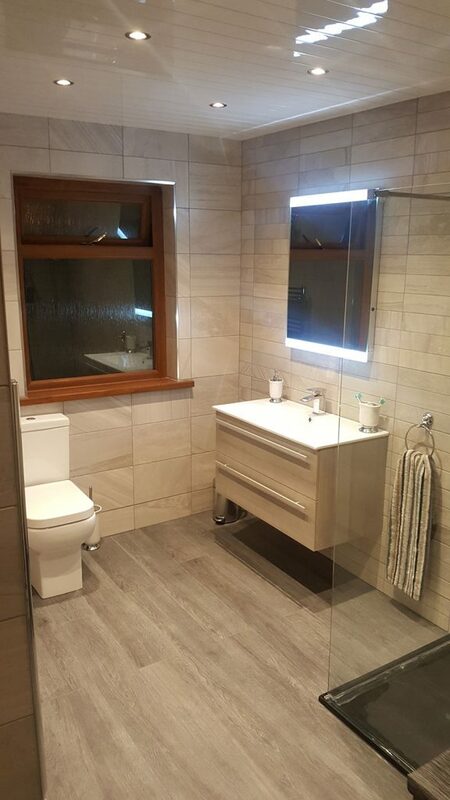 Choice Interiors completed Bathroom Refurbishment Belfast. 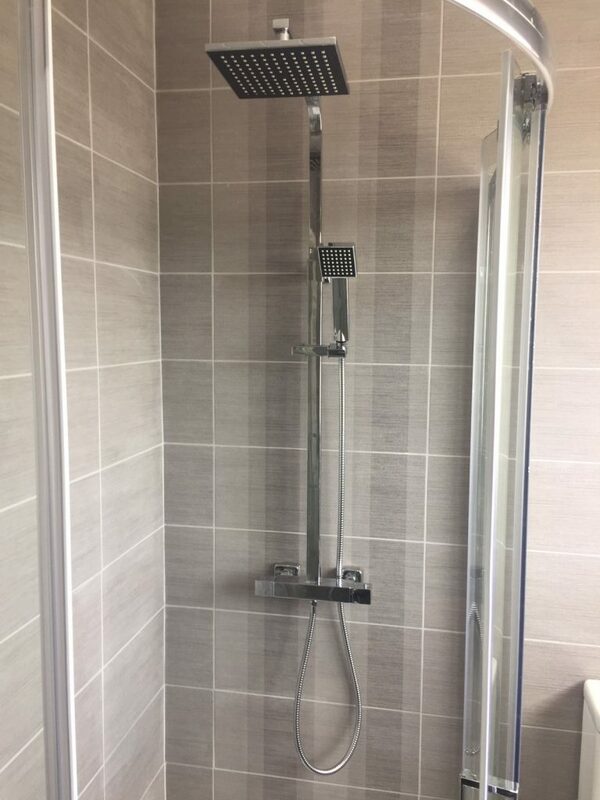 Old bath taken out and new wetroom style walk in shower fitted.